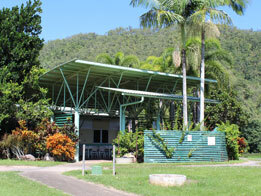 Wujal Wujal caters to the Aboriginal people of Wujal Wujal, Hopevale, Kuranda and Mossman. It offers primary clinical care and primary healthcare services through strong partnerships between nursing staff, and Aboriginal and Torres Strait Islander health workers. Level 2 emergency care centre. 24 hours access to registered nurse and triage presentations. Wujal Wujal provides a suite of regular visiting medical, community and allied health services in partnership with other health and social service providers, including diabetes educators, podiatry, paediatricians, hearing health, mental health, maternal and child health, eye specialists, and ear nose and throat specialists. Specialist outreach programs include the Women's Health Service, the Sexual Health Service, and the Cape York Mental and Alcohol and Drugs Health Service which are provided by the Apunipima Cape York Health Council's Chronic Disease Team from Cooktown. A purpose-built dental suite provides comprehensive dental care to the local community. Wujal Wujal can provide financial assistance through the Patient Travel Subsidy Scheme to eligible patients who need to travel to other hospitals for procedures and tests not available locally. 24 hours access to registered nurse and triage presentations. Alcohol and Drug and Sexual Health teams visit the Cape Sector communities on an ad hoc basis. Visitors and residents are expected to respect and abide by the alcohol management plan. Check the Wujal Wujal Community Alcohol Limits as conditions vary according to community.